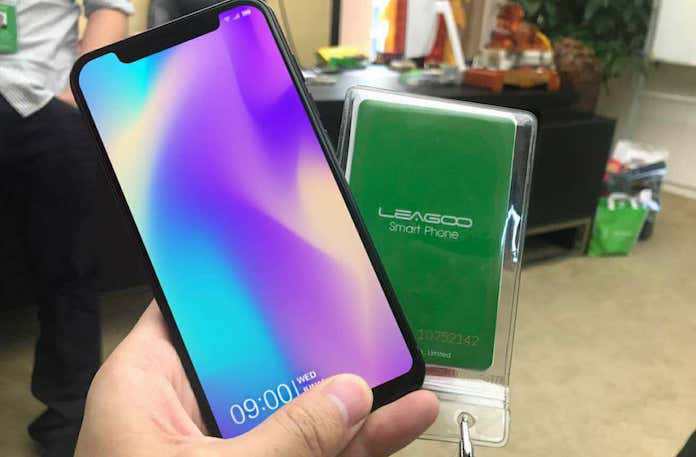 The Chinese manufacturer Leagoo has taken it upon itself to continue the tradition of Chinese knockoffs of Apple products. It was leaked recently that their new S9 phone bears an uncanny resemblance to the new Apple iPhone X. At a cursory glance, the device definitely looks just like the latest Apple release but it has one big difference in that it operates on Android Oreo 8.1. The LEAGOO S9 has some bezel around the display but they aren’t that thick and the phone’s screen to body aspect ratio also isn’t as high as the real thing. However, there is the iPhone X notch as well as a display with rounded corners and it seems to be made out of metal and glass with all the physical buttons on the right-hand side. This should also presumably mean that the SIM card tray will be on the left. The device’s rear cameras also bear a resemblance to the iPhone’s arrangement. The two vertical cameras have a distinguishable LED flash between them. The biggest difference in appearance is, of course, the LEAGOO logo on the back. In addition, unlike the iPhone X, it has a rear-facing fingerprint scanner. Sadly, there are no specific specs to learn about, other than the fact that it will probably be run by one of MediaTek’s processors and that there should be around 3GB of RAM. From these details, it should be safe to assume that this places it as a mid-range smartphone; nowhere near the raw power of the top tier devices. This device is predicted to do well mostly in native China, largely because of the very affordable price tag. The under $300 cost will be very attractive to many consumers, all the more so because the real iPhone X costs more than three times this amount. 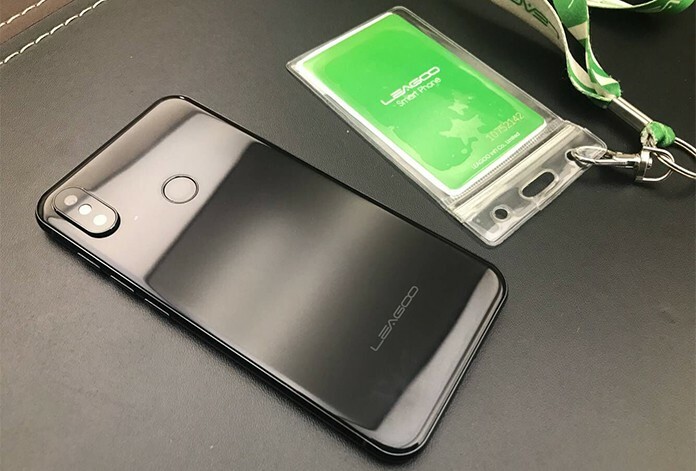 Please let us know what you think of LEAGOO’s latest device in the comments!